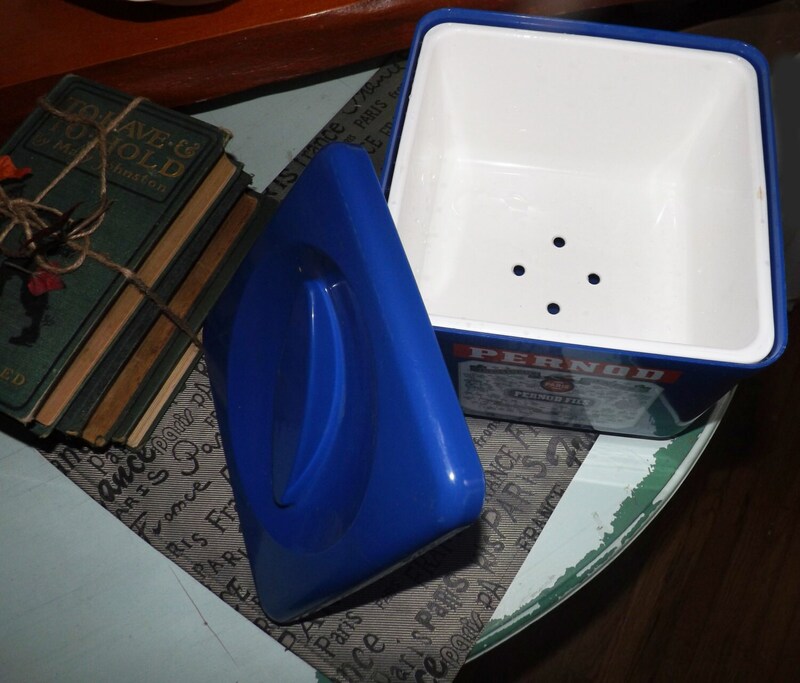 Vintage (1970s) Pernod square, dark-blue ice bucket with removable inner liner and lid. 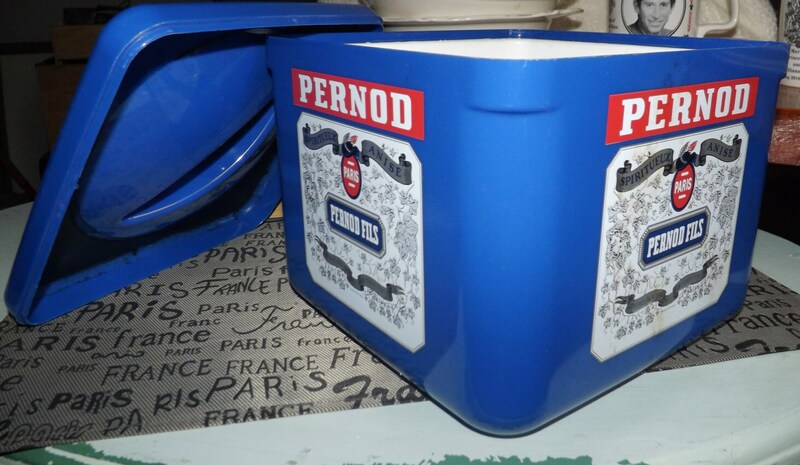 Vintage (1970s) Pernod square, dark-blue ice bucket with inner plastic liner and lid. EXCELLENT! and RARE! This ice bucket is in EXCELLENT! vintage condition with NO! chips or cracks and only a very few light scratches to the dark blue which do NOT! 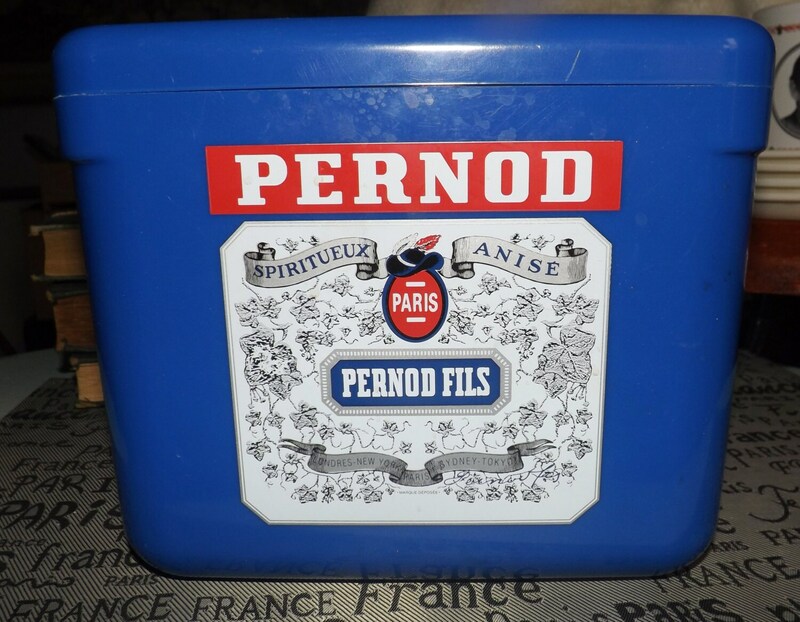 affect or in any way extend to the Pernod Pernod Fils crest or branding which appear on all 4 sides of the bucket. 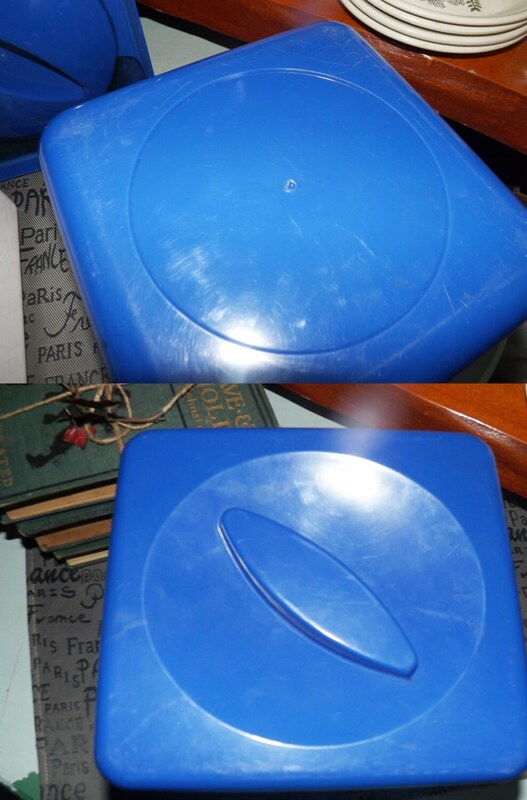 This ice bucket is very clean and in really lovely overall condition. 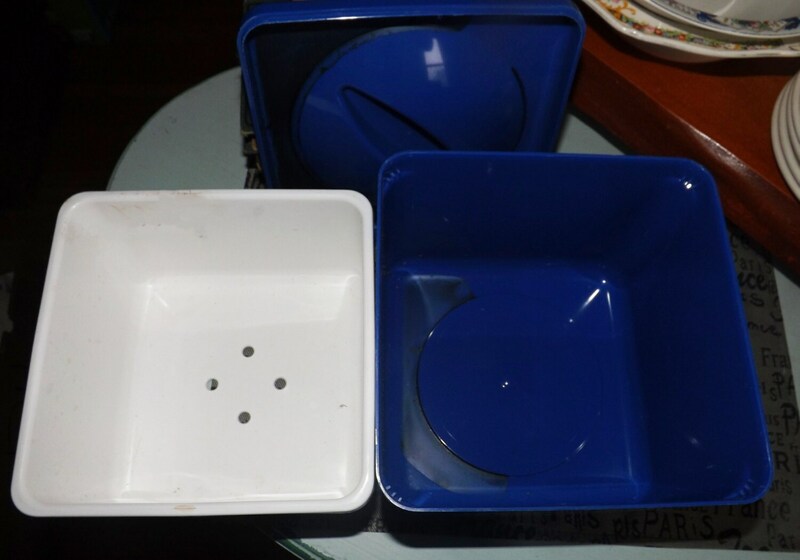 The inner liner, with holes, is removable for easy cleaning and both it and the square lid with pull fit nicely and snugly as they should.